Our featured gear this week is the JHS Bonsai. The Bonsai utilizes a simple rotary knob to switch through nine classic, vintage, rare, or hard to find variations of the Screamer. It's important to know that the Bonsai is not a "box of mods," it is exact replications of these nine units all housed in one box! When you choose a mode on the Bonsai rotary, you are actually activating components specific to each mode and playing the unit along with all the quirks, drift, vintage mojo, and individuality that a vintage pedal has. Our high quality backing tracks can be found below. There are 52 tracks total, so please scroll down to view all tracks. 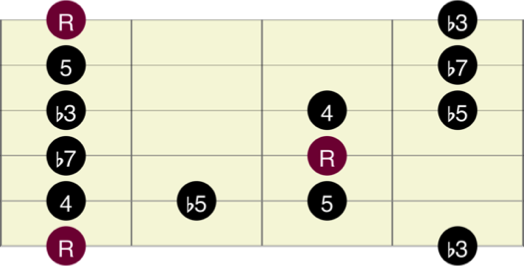 If you are a guitarist, you can use the pentatonic blues scale patterns as a starting point for improvisation. 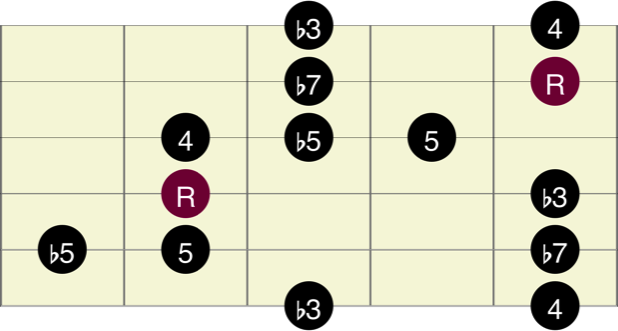 The scale patterns below should be used to improvise over the above blues tracks. 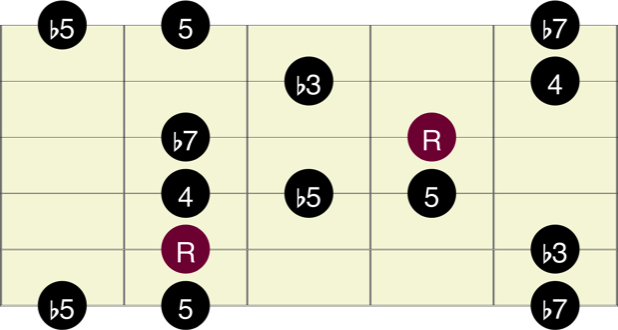 The scales may be used in any key. The red circles are the root notes. 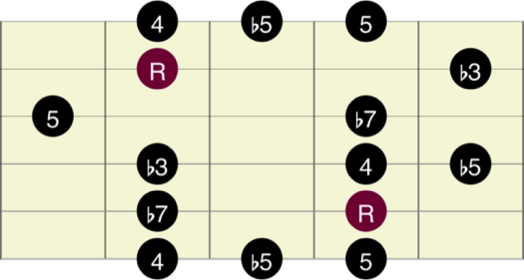 The numbers indicate the interval in relationship to a major scale, e.g. 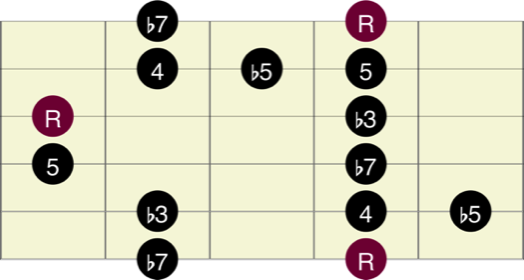 a b7 in C major would be a Bb.